“American Man (In the Key of Free)” is one of many surprises on Grammy-winner Chris Thomas King’s first studio album in five years. 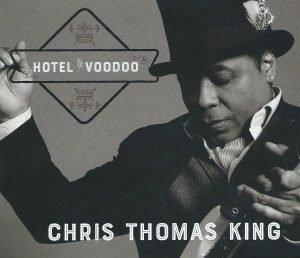 Known primarily as a blues artist, the Baton Rouge singer, guitarist and songwriter opens Hotel Voodoo with “American Man,” a pop-rock anthem along the arena-rousing lines of Bruce Springsteen. Straightforward and catchy, “American Man” could be a mainstream hit—if not a hit for King, an indie artist, then maybe for a popular country act who’s backed by a major-label marketing machine. 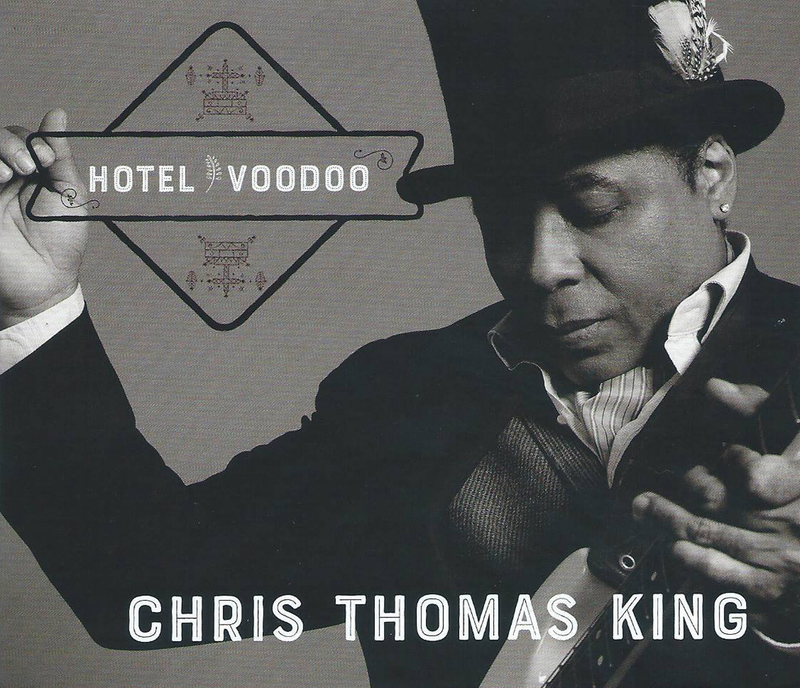 The 10-song Hotel Voodoo gives an even broader look at King’s versatility. In addition to the opening anthem, the album presents King as a guitar-wielding blues-rocker in the Stevie Ray Vaughan mode (“Have You Seen My Princess”); juke-joint veteran (“Friday Night Bleu”); folk singer (“Rainbow Lullaby”); neo-classic, primal rocker (“Rock and Roll Conjurer”); and New Orleans music–inspired composer (“Tabby’s on the Bayou” and “Les Bleus Was Born in Louisiana”). King performs one non-original, his piano-based take on Adele’s “Someone Like You.” Unfortunately, anyone who dares to sing a song popularized by a singer as powerful as Adele is instantly disadvantaged. 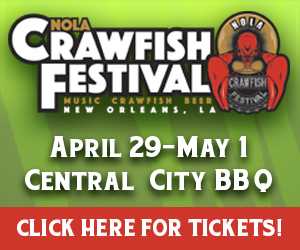 King’s much more at home with “Tabby’s on the Bayou,” a nostalgic and fun ode to Tabby’s Blues Box and Heritage Hall, the genuine juke joint that King’s father, Tabby Thomas, operated in Baton Rouge for decades. King is carrying on “Rockin’” Tabby’s tradition and exploring bold new paths.